"Know how to live the time that is given you." 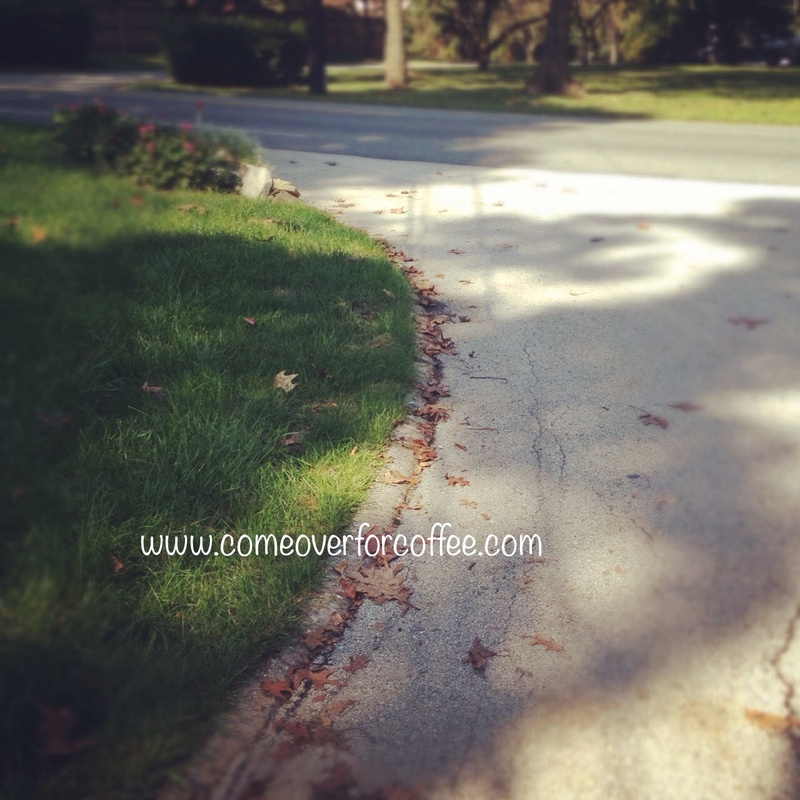 Yesterday, as I stepped out my front door to head to the bus stop, I had an epiphany. The bus stop has become a major turning point in my day. The bus stop is where I give my children away, and where I wait to get them back at the end of the day. Before the bus stop every morning, I'm all MOM. Breakfast maker, shoe finder, lunch packer, kiss giver, general of the troops. After the bus stop in the afternoon, I'm all MOM. Homework supervisor, snack creator, play time referee, shower giver, and bedtime snuggler. In between bus stop visits, my time is mine. I get to plan it, schedule it, do (or not do) the things on my list, and answer to me. The epiphany yesterday was about the mental shift that happens after each visit to the bus stop. 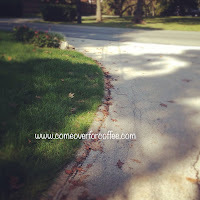 In the morning, as I walk back, I find myself running through my lists and planning my day. Since I won't be hearing "Mommy" for eight hours, I can find time to finish a cup of coffee, actually think and accomplish things. It's a wonderful feeling! 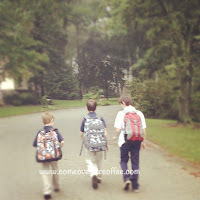 I'm a Stay At Home Mom, and this is the first year that all my boys are in full day school. It's certainly taking me some time to get used to this new pattern, but I'm soaking up every minute of autonomy. In the afternoon, as I head to the bus stop to pick up my boys, my mind needs to shift again. I need to turn off my mental lists and planning for projects and prepare myself to return to Mommy mode. I need to put myself and my tasks aside for a little while and focus on my boys. They need me to be fully present with them. I am at my best as a mom when I am fully tuned in to my boys. When I am trying to juggle other tasks and parent them, I end up not doing anything well. I am learning to put down my phone and my laptop and be focused on them - hearing stories from their day, helping with their homework, playing Legos, holding hands, looking them in the eye when they talk, stopping to be fully present for them. I know that life gets in the way. I know that there are sports and work and other obligations that make stopping very difficult. We are busy. But as often as possible, I am trying to give my family my undivided attention from bus stop to bed time. I even try not to answer the phone during those times! I need to make sure that what I'm giving them on either side of the bus stop is the very best that I have. So the bus stop is the hinge on the door in my brain. I need to use this this two minute walk to transition my mind from me and my to do list to them and their needs. I'm thankful for this walk. I'm thankful for the opportunity to get my brain in gear. I'm thankful for the time I had alone today. I'm thankful for the time I had to accomplish things, or not, as I saw fit. But I'm very thankful that my kids will be home soon. Whether it's a bus stop, car line, or a walk to the local school, there is that moment between our own time and MOM time. I'm convinced that this moment can make a big difference in our day. The way that we approach that moment, the attitude with which we greet our children, changes the rest of our evening. So I try to use that moment to prepare my heart, my mind, and my attitude. I try to be grateful for the moments I've had today, and look forward to the moments yet to come as a family. What works for you? When do you find time to accomplish the things on your list? How do you handle the homework/dinner time/bed time thing? How do you recharge during any alone time? P.S. If you need a nudge to get on the floor and play with your kids, Susan at This Happy Mom is doing a great job reminding me to play. And if you need ideas for Mom time, Paula at Simply Sandwich has a wonderful tool for making time for Mom. 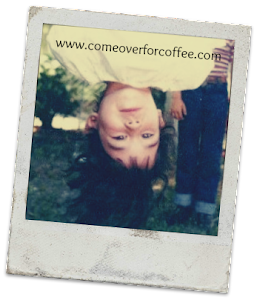 Linking up with Coffee Friday and Calm My Crazy.